Dr. Ronda Beaman is President of Second Wind, Inc., PEAK’s midlife coaching division. She also serves on the faculty of The Graduate School of Business, California Polytechnic University. Additionally, Dr. Beaman serves on the Board of Directors for the National Pay It Forward Foundation. Her current, award winning book, You’re Only Young Twice, has been printed in five languages. Young Twice combines the sciences of neoteny and evolutionary psychology to offer a definitive guidebook for growing younger, personally and professionally. Dr. Beaman is an internationally recognized expert on leadership, resilience, health and wellness, education, and coaching. She has conducted research in a host of areas, written many academic articles and books, and won numerous awards. She was selected by the Singapore Ministry of the Family as their honored speaker of the year and named the first recipient of the National Education Association’s “Excellence in the Academy: Art of Teaching” award. She has been selected as a faculty resource at the Young Presidents’ Organization (YPO) university in Argentina, Kyoto and India, where she received the highest speaker ratings among 36 elite faculty. She has been featured on major media including CBS and Fox Television, USA Today, and is a national thought leader for American Health Network. Dr. Beaman earned her doctorate in leadership at Arizona State University. 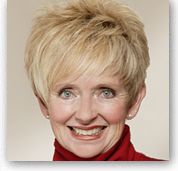 She is also a certified executive coach and personal trainer with credentials from the Aerobic Research Center. She is a wife, mother, and grandmother.